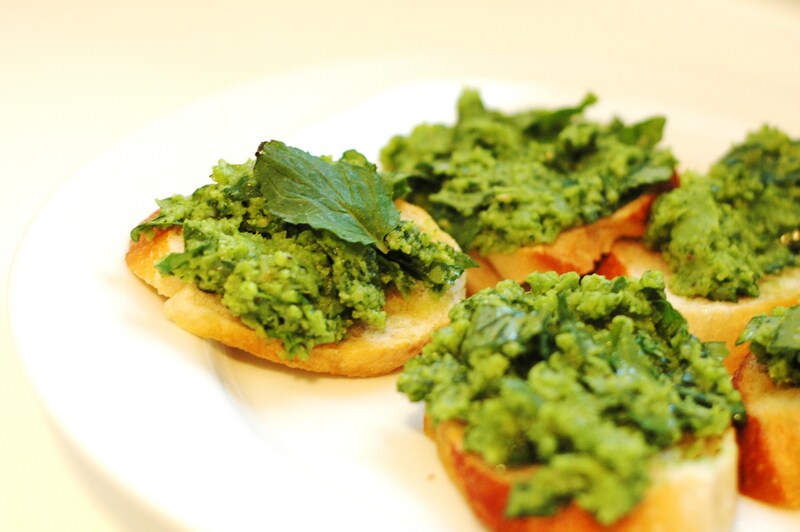 What is it about bright green foods that drives me absolutely crazy? They are just so beautiful and, typically, the taste measures up. So many good things turn a gorgeous, vibrant shade of green when cooked… peas, broccoli, fresh herbs… and apparently, fava beans. 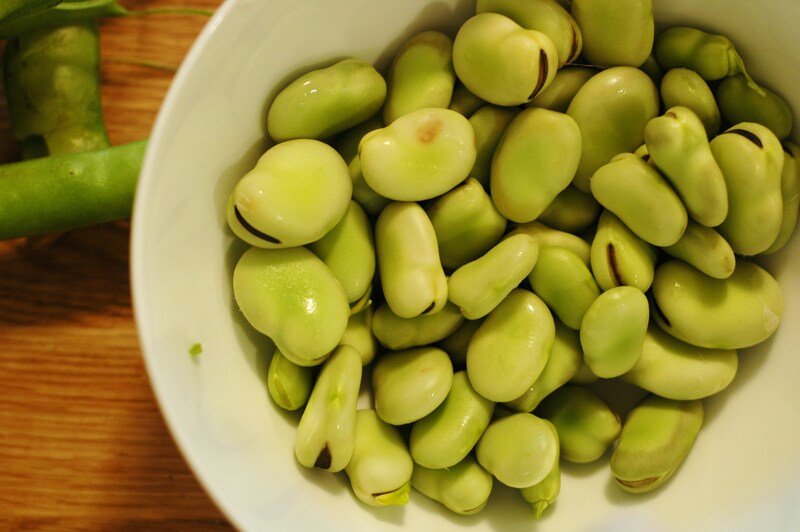 Confessional time: I’ve never before prepared fava beans. Truth be told, I’ve never even eaten a fava bean. 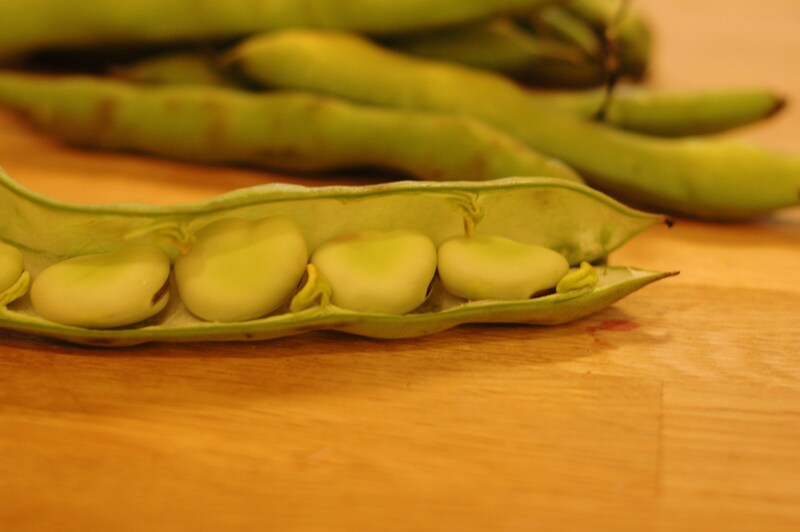 But as I was strolling around the produce section the other day, what did my wondering eyes behold, but fava beans- still in their pods. They are sufficiently strange-looking and intriguing enough to make the cut for me, so I grabbed them. Then I got home and realized I literally had NO clue what to do with them. They look like giant pea pods, which initially made me giggle, but then proceeded to make me confused. A quick search turned up with winner, and I began, only a little fearfully, to tackle the fava bean. Turns out, it was incredibly anti-climactic, because there isn’t actually too much to preparing these. You just crack open the pods, take out the beans, then throw the little guys into some hot water for a few minutes and slip the skins off. Once you’re done, you’re left with a bright green wonder… something that looks like a soy bean, only brighter green, which, in my book, equates with BETTER. 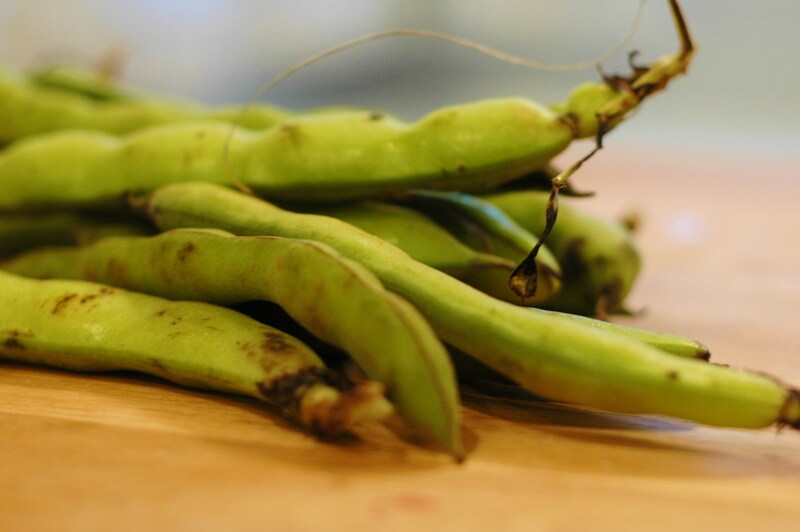 If you can’t find fava beans anywhere, you could substitute soybeans, or edamame, in which case, you wouldn’t have to shell them. 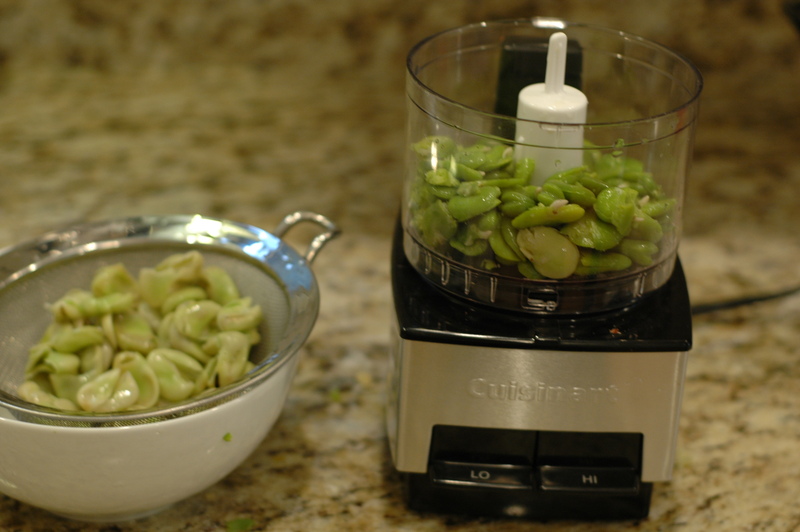 Pulse fava beans in a food processor until very coarsely chopped, then transfer half of mixture to a large bowl. Add 1/4 cup oil, 1/2 cup arugula, cheese, lemon zest and juice, 1/2 teaspoon salt, and 1/8 teaspoon pepper to favas in processor and purée until smooth. Add to bowl. Coarsely chop remaining cup arugula and gently fold into fava bean mixture. Cut 16 diagonal slices (1/3 inch thick) from baguette and put in a 4-sided sheet pan. Drizzle with remaining tablespoon oil. Bake until pale golden and crisp, 8 to 10 minutes. Rub with cut side of garlic. 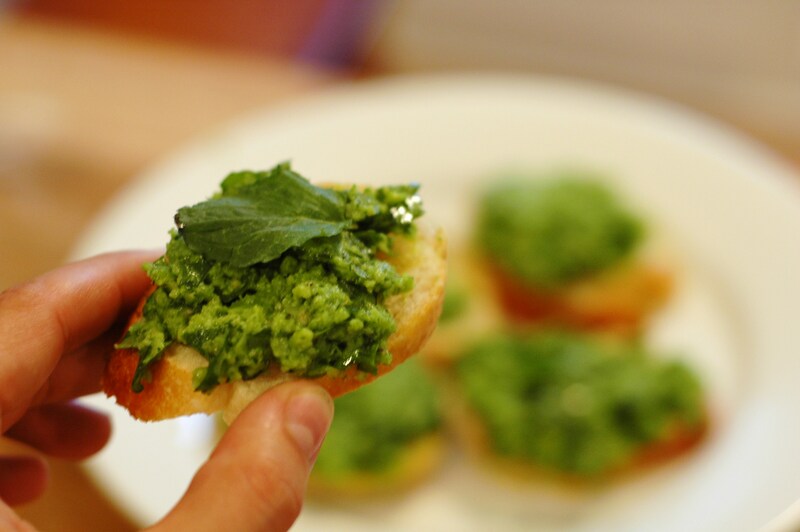 Spoon fava-bean mixture onto baguette toasts, then drizzle with oil and top with mint.